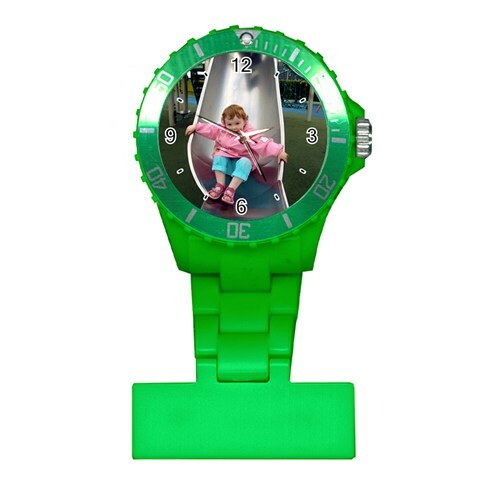 Our photo personalised nurses uniform fob watch is perfect for nurses and medical professionals, veterinary staff, health service staff etc, not only does it prevent infection and keep your hands free, it can also be used to show of those special photos that adds extra fun into your job. Available in 8 colours, Purple..White..Yellow..Black..Grey..Pink..Brown and Green, lets you easily add a pop of color It has a pin at the back for you to attach the watch securely to your uniform while on duty. 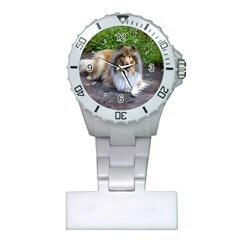 The watch face is upside down and large enough so you can read the time easily even when your hands are full. Plus, it is more hygienic! Japanese movements and batteries included *Please be aware that the watch is designed to be pinned to clothing and read upside down as oppose to the worn on the wrist. 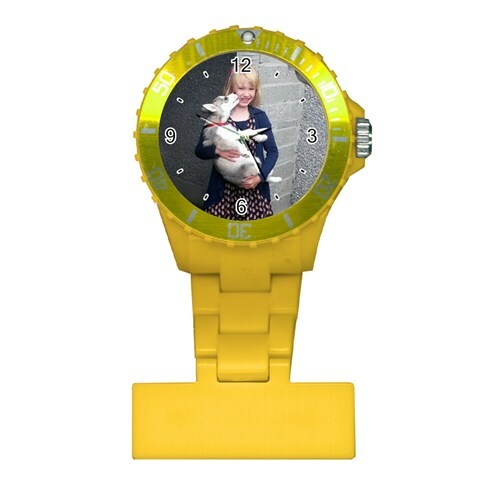 Personalised your photo watch with any photo or design of your choice, our photo watches make a great personalised gift which you can those photos of you kids..pets..holiday snaps or just about anything you can imagine. Due to the time constraints invloved in making this customised time piece the delivery time is slightly longer than other items that we currently stock. 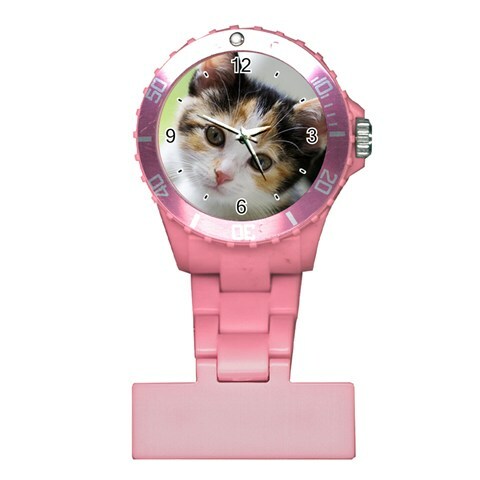 Delivery of this particular personalised nurses watch will be approx 14-18 days.